Wildlife photography is about as taxing on a camera as any type of photography. Most of the time, photographers do not need to push the limits of their cameras. Photographing wildlife regularly takes advantage of all the speed, resolution and build quality available . In general, the best cameras for wildlife photos are the most expensive ones. Depending on where you are and what you plan to photograph, you may not need all the features. We will take a look at some of the best options at different price points. The most important things to look for in a camera body are: fast autofocus, high ISO capability, fast burst speed and a large buffer, weatherproofing and compatibility with telephoto lenses. A fast autofocus is dependent on a few things like the detection system, the number of autofocus points, and of course the quality of lens you are using. Fast autofocus is essential to capture moving animals — and to keep them in focus across several frames. Most newer cameras have pretty high ISO capabilities. The bigger the sensor and the more expensive cameras tend to have lower noise in the higher ISO settings. High ISO allows you to use faster shutter speeds and to work in situations with low light. Burst speeds come into play with quick moving animals. Your reflexes may not be fast enough to capture that perfect moment, so taking several shots in a second gives you a better chance of capturing the moment you want. The buffer is the limit to the number of shots you can take in a row. Weatherproofing is important when working in the field. You will likely have to deal with dirt, sand, rain, humidity, extreme temperatures and wind. These things all wreak havoc on electronics. More expensive models will have a better build quality to defend against the elements. Lastly, your camera body is only as good as the lens you use put on it. Make sure that you can buy or rent telephoto lenses that are long enough to reach the subjects you want to be shooting. 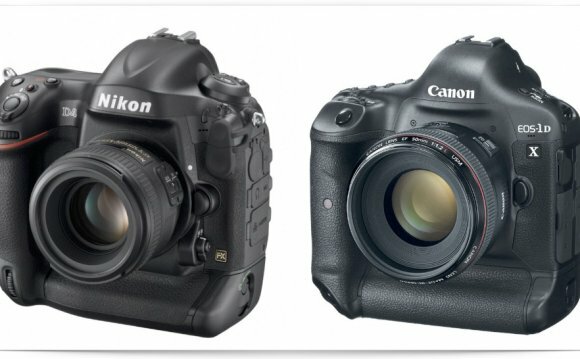 Full-frame sensors are typically part of the more expensive professional level DSLRs. This means that the sensor is about 24 x 36 mm. Because they are smaller, crop sensors magnify the image (1.5x for Nikon, 1.6x for Canon) when using the same focal length as their full frame counterparts. This means that a 200 mm lens on a full frame sensor is 300 mm or more on a crop sensor. While the crop sensors typically aren’t as high quality as the full frame, they can reach a little further for those on a budget. The Nikon D4s is a 16 megapixel, full-frame camera. It has a 51 point autofocus and shoots photos at 11 frames per second. It is an excellent camera for wildlife photography. Similar, Canon’s full frame, top of the line 1DX is an excellent camera at 18 megapixels, 65 point AF, and 12 frames per second. If you can sacrifice the speed you can save a lot of cash by getting either the full-frame Nikon D810 with 36 megapixels, the same 51 point AF, and 5 frames per second of burst or the full-frame Canon 5D MkIII with 22 megapixels, 65 point AF and 6 frames per second. Pros on a tight budget may opt for the full-frame Nikon D610 with 24 megapixels, 7 point AF and 6 frames per second or the Canon 6D with 20 megapixels, 11 point AF and 10 frames per second. Photographers that can’t quite justify spending on a pro level camera can get very good cameras for wildlife photography. High-end crop sensor cameras have all the features you would need, like the Nikon D7100 at 24 megapixels, 51 point AF and 7 frames per second. Also, the Canon 7D MkII at 20 megapixels, 65 point AF and 10 frames per second makes a worthy competitor. In you are interested in giving wildlife photography a try without draining your bank account, try these entry level DSLRs: Nikon D3200 with 24 Megapixels, 11 point AF and 4 frames per second or the Canon T5i with 18 megapixels, 9 point AF and 5 frames per second. These are very powerful cameras for the price. Sony also makes capable DSLRs with comparable specs, like the Alpha a77II and Alpha a58, although you will have fewer choices in lenses.